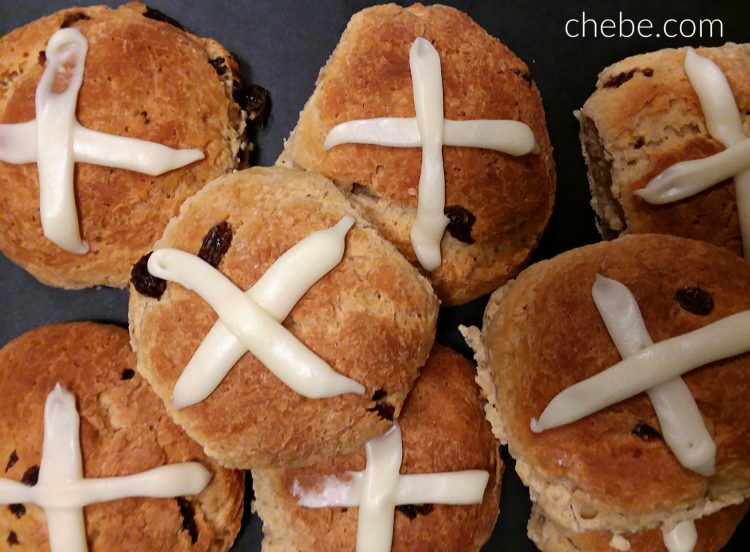 With Chēbē gluten and grain free hot cross buns, you can bring the tradition back, or create a new one. But you don’t even need a special occasion because these sweet treats can be enjoyed anytime of the year! In a mixing bowl, blend the Chebe mix with the millet flour, baking powder, cinnamon, yeast, sugar and raisins. In a small bowl, combine the kefir and the butter. Heat in the microwave briefly to warm (do not allow to boil). Blend the egg with the dry mix and then blend the kefir/butter mixture. Continue blending everything, using your hands to bring everything together. 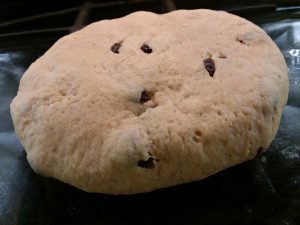 Form the dough into a smooth round. Grease a baking pan. 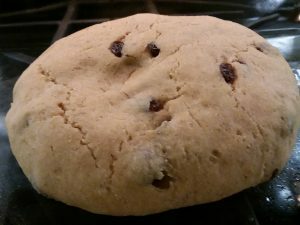 Place the dough in the pan, cover with a cloth, and keep it in a warm place (preferably between 80 – 90F) for one hour. 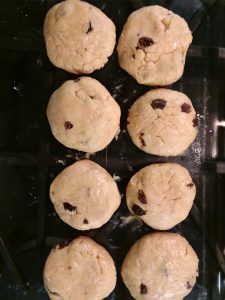 Cut the dough in 8 to 9 pieces. Grease your hands with cooking oil to handle the dough as it may be sticky. 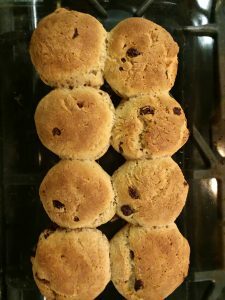 Roll each piece in a ball and return to the baking pan, very loosely touching each other. Cover with cloth and keep it in a warm place (preferably between 80 – 90F) for40 minutes. Bake for 22 – 25 minutes. Remove from oven and let cool. While cooling, make the icing by blending the sugar, butter, vanilla and milk in a small bowl. Put the icing in a sandwich baggie and press it into a corner. Cut a small hole in the corner of the baggie. 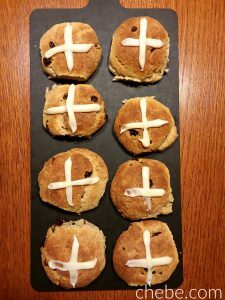 Squeeze the icing on top of the buns to make crosses. Now you’re ready to enjoy! 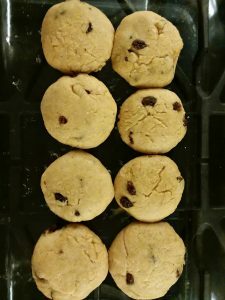 You may freeze the buns (unfrosted) in an air tight container. Let thaw and heat at 350F for 5 – 10 minutes. 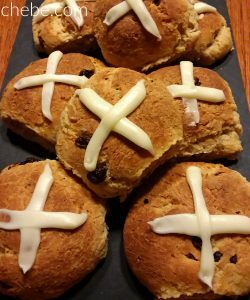 Cross with the icing.